Two things made denim blue jeans revolutionary when they were invented by Jacob Davis and Levi Strauss in 1873. First, they were made from a sturdy material, denim, which Davis bought from Strauss. Second, Davis used a metal rivet at the points where pants most often ripped: the pockets and the fly. These innovations vastly improved the shelf life of a pair of pants for the working man in the Gold Rush and resulted in the denim revolution that has taken place over the past 150 years. Denim producers today face a competitive market, in which quality assurance is essential. Controlling various steps in the denim manufacturing process helps to ensure a consistent product that will satisfy the customer. One critical step in the process is the dye bath, where denim obtains its characteristic blue color. Why Measure pH During the Denim Manufacturing Process? Regulating the pH of dye baths allows control of the color of denim produced. Denim designers require confirmation samples from the manufacturer to match the sales sample. Inconsistencies can prolong the production process. If the finished product doesn’t match the sales and confirmation samples, problems arise, including costly factory claims and strain on the relationship between clothing brands and their manufacturers. The pH of the dye bath may have implications beyond the color of denim produced, such as the effect on the materials. An unregulated dye bath pH can affect the quality of the material, compromising the durability for which denim is known for. After the dyeing process is complete, chemicals must be removed from the surface of denim products. This step is critical to avoid potential injury or illness resulting from consumers coming in contact with harmful chemicals. Denim manufacturers may test the pH of their final product using flat surface pH electrodes, which are better suited for this purpose than traditional bulb shaped electrodes. Measuring pH is important in the denim manufacturing process, but it is difficult due to harsh conditions in the dye baths. Chemical fouling of the pH sensor reference can cause probes to fail, which means they will constantly have to be replaced. This can lead to lost production time, not to mention the high cost of constantly replacing pH sensors. 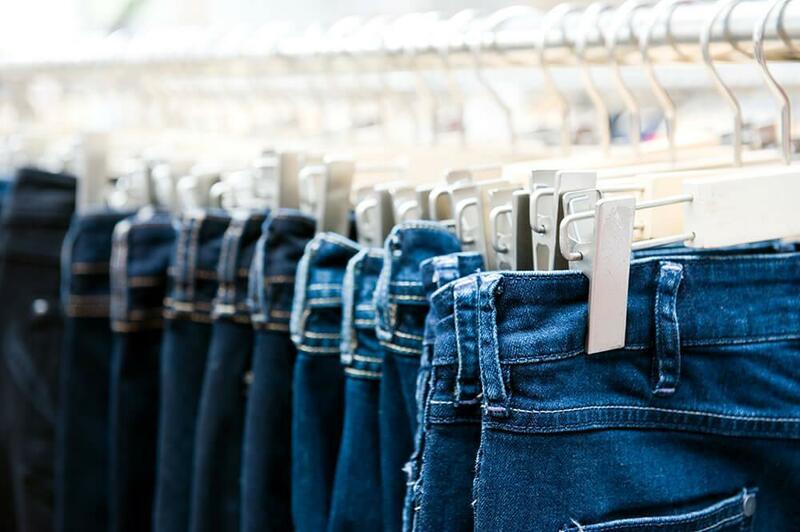 Denim manufacturers facing these issues may consider using a differential pH sensor. The key difference between combination pH sensors and differential pH sensors is the reference cell design. A differential pH sensor uses a reference electrode in a buffered electrolyte solution that resists pH change. This can extend sensor lifetime significantly in denim dye bath applications by preventing chemical fouling. In addition, the electrolyte solution can be discarded and refilled to further extend sensor lifetime.